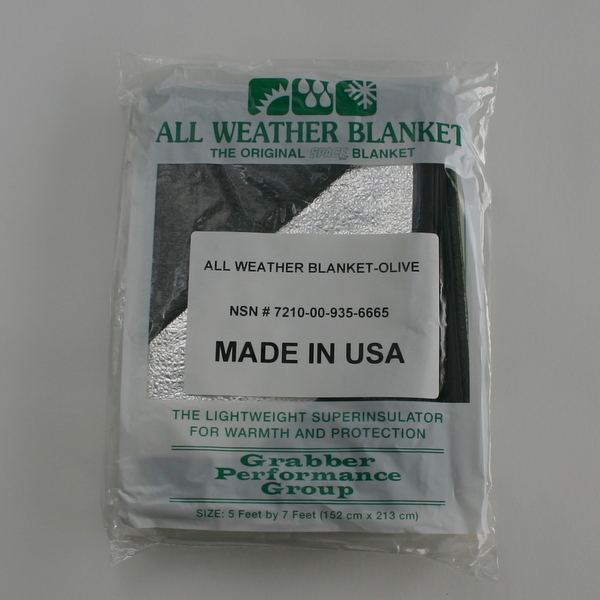 The All Weather Blanket is US made from an aluminized plastic film laminated to a plastic film reinforcing layer. 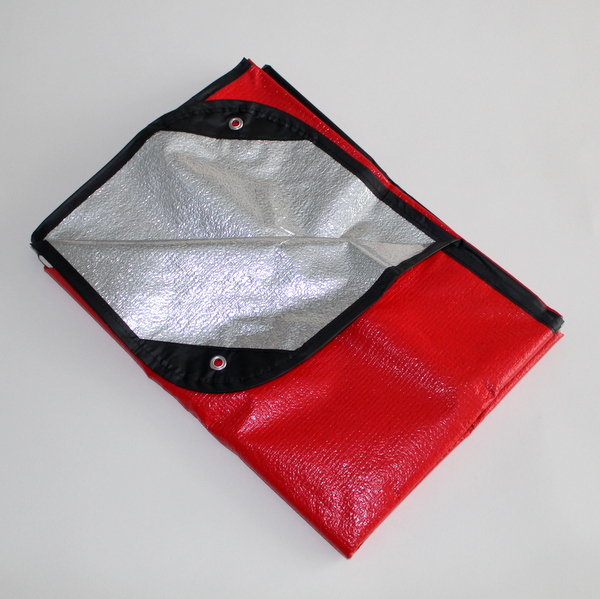 Used the world over by Military, Law Enforcement and first responders this blanket is an excellent addition to a survival, emergency preparedness or first aid pack. 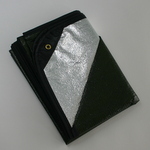 The Blanket is radar reflective and one side is coloured Olive or Red - choose one according to your needs and situation. It also has reinforcing and brass grommets on each corner to aid in tying down when necessary. The All Weather Blanket is available with a tactical Olive backing or an high visibility Red. Size is 5' X 7', 152cm x 213cm and each blanket weighs 400g.